In tandem with the announcement that Tom Bradley was joining the Steelers coaching staff as defensive backs coach, the team also announced that Karl Dunbar will return to Pittsburgh to assume the role of defensive line coach. John Mitchell, who has held the title of Steelers defensive line coach since 1994, will move into a full time roll as assistant head coach. And in doing so, Mitchell leaves Karl Dunbar with incredibly large shoes to fill. Steel Curtain Rising will have a longer look at John Mitchell’s tenure as defensive line coach in the future, but “distinguished” would be the first word the comes to mind. It’s often said that “NFL” means “Not for Long” and assistant coaches are hired to be fired. By surviving two head coaches and 6 defensive coordinators alone Mitchell has beaten the system. Not bad for a man who arrived in Pittsburgh and was tasked with succeeding Steel Curtain veteran Steve Furness. Karl Dunbar is no stranger to the Pittsburgh Steelers. Chuck Noll took him as a defensive lineman in the 8th round the 1990 NFL Draft, although Dunbar did not make the team. Dunbar did get NFL experience playing for the New Orleans Saints in 1993 and the Arizona Cardinals in 1994 and 1995. Dunbar coached for the Chicago Bears in 2004, and then moved on to Minnesota in 2006, where he worked for Mike Tomlin. Dunbar stayed in Minnesota until 2011, and then coached defensive line for the New York Jets from 2012 to 2014 and then with the Buffalo Bills in 2015. 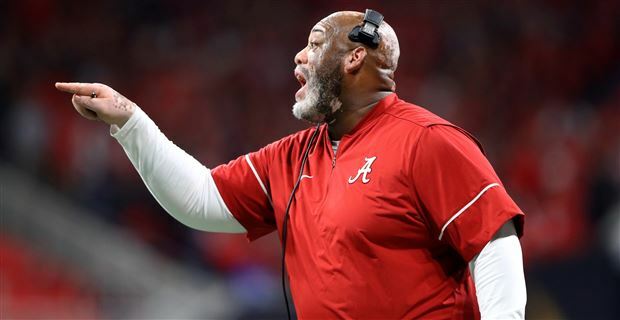 Karl Dunbar has worked on Nick Saben’s staff at Alabama during 2016 and 2017. If John Mitchell, who knows Dunbar from their days at LSU, leaves a big shoes to fill, he’s also giving his successor an awesome set of tools to work with. Cam Heyward is arguably the best 3-4 defensive end in the NFL and if Stephon Tuitt can manage to stay healthy, he could give Heyward a run for his money. Javon Hargrave had a spectacular rookie year and continues to offer plenty of “upside” while Tyson Alualu has proven to be an invaluable 4th lineman. L.T. Walton certainly struggled in relief of Hargrave in the playoff loss to the Jaguars, he offers valuable depth. This entry was posted in Steelers 2018 Off Season and tagged Cameron Heyward, Chuck Noll, Javon Hargrave, Johnny Mitchell, Karl Dunbar, L.T. Walton, Mike Tomlin, Pittsburgh Steelers, Stephon Tuitt, Tom Bradley, Tyson Alualu. Bookmark the permalink.